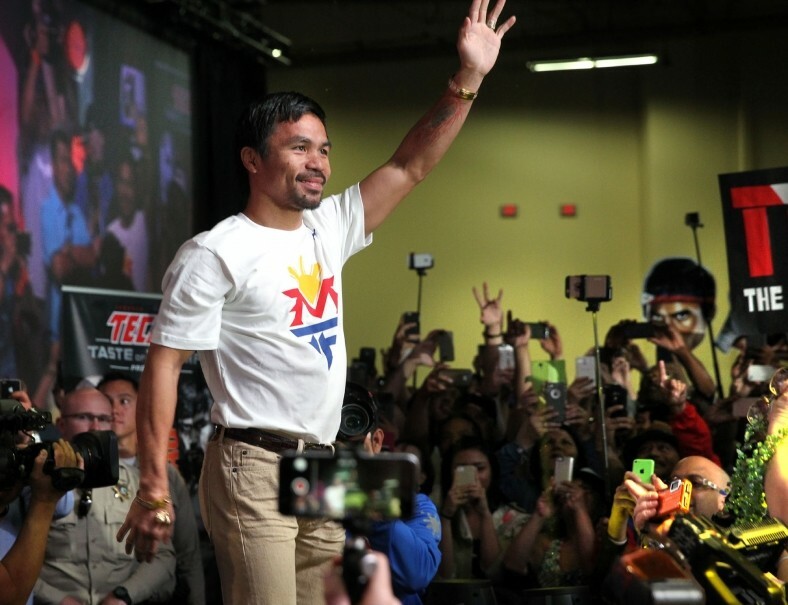 Manny Pacquiao during fan rally at Mandalay Bay in Las Vegas. He will face Floyd Mayweather Jr in the “Fight of the Century” on Saturday, May 2, 2015. MANILA (Mabuhay) – A friend of Interior Secretary Mar Roxas is trying to woo boxing icon and Sarangani Rep. Manny Pacquiao into supporting his rumored presidential bid. Pacquiao is already a member of the United Nationalist Alliance (UNA) founded by Vice President Jejomar Binay, who has already announced his presidential run in 2016. Caloocan City Rep. Edgar Erice, Liberal Party chairman for political affairs, had said that Aquino will officially endorse Roxas before the end of the week. Some LP members are pushing Camarines Sur Rep. Leni Robredo and Batangas Gov. Vilma Santos for the vice presidential post. “Naniniwala ako sa kakayahan ni Sec. Mar, na siya ang pinaka-qualified at best bet natin na maging presidente. Kami naman ni Cong. Manny, lagi kaming nag-uusap dahil sa mga issue sa Sarangani. Napag-uusapan din namin ang politika at naging sunud-sunod na ang pag-uusap [namin]. Syempre gusto ko magkasama kami [sa pagsuporta kay Sec. 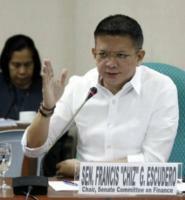 Roxas] para buo ang Sarangani for Mar,” Lopez said. Pacquiao and Lopez, who both hail from Sarangani, are known to be close friends. The party-list lawmaker is also a friend of Roxas though she is not allied with the Liberal Party. From the host to the guests to the performers, the 15th anniversary party of YES! magazine is one for the books.